He also released a stripped down version of "My My My," so keep screaming. We’re not screaming, you’re screaming. 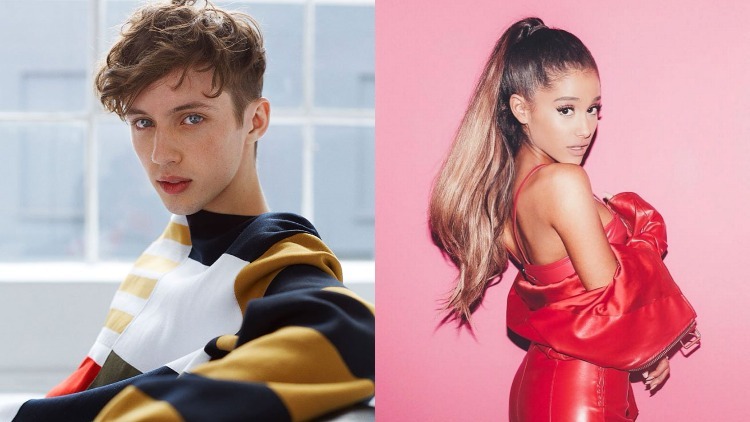 Troye Sivan has recorded a track with Ariana Grande and it may just break the pop landscape—or at least cause a few gay LifeAlerts to go off. The gay pop star dropped the glitter bomb of an announcement on BBC Radio 1 with Nick Grimshaw. “This was not a planned announcement," said the 22-year-old. "But I'm so excited. It sounds exactly like I dreamt it would. Her and I are friends. She's really fun. I said 'would you ever sing on this song?' And she just did it. My favourite thing is not telling people who it is, and then starting to play the song and as soon as she starts to sing, everyone's like 'are you serious?' Her voice is nuts." How is this happening so soon after Sivan revealed he wrote songs with the other pop princess, Carly Slay Jepsen? Is Troye Sivan the gayest pop star alive? The answers all seem to point towards a resounding yes. Watch the “My My My” acoustic video below and scream your gay hearts out.